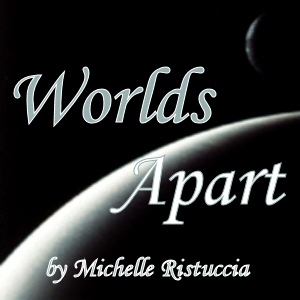 This week, instead of our usual round table discussion, we present to you a very special episode – “Worlds Apart,” the winner of our Third Annual Writing Contest. The story was written by Michelle Ristuccia, and Terry Mixon not only produced the audio production, but also narrated the story along with the wonderful Kimi Alexandre. We hope you enjoy. Well, we’re always going on about how good some audio podcasts are and how they can help you get your fiction out there, so… that’s it! The winner of our contest (and yes, there will be only ONE winner) will have their story adapted into an audio podcast which we, your benevolent hosts, will produce and run in our feed. To make sure the prize is really all it can be, it will feature a full voice cast, music, and sound effects. How’s that sound? Um, pardon the pun. Anyway, that’s it! I hope everyone is as excited about this as we are. I’ve created several audio podcasts of my own work, and I can tell you that there’s nothing like hearing your work brought to life across a sweeping audio stage. It’s just… magic. Now, get cracking! You have a month, and 4000 words! Don’t waste any of them! Get those stories written and then send them to show@deadrobotssociety.com. Oh, please make sure to include the story in the body of the email, and NOT as an attachment. I can’t wait to see what you fine people come up with. I know you’ll make us proud! FenCon VI Short Story Contest Is Open! That’s right, this year’s FenCon short story contest has opened its doors. FenCon VI is running from September 18th through the 20th, but you can submit your short story now. Since I won First Prize last year, I can’t enter it anymore (lucky for you), but all of you are more than welcome to send them your work. I hope all of you do, and I hope it’s one of our listeners who wins the prize. Get to it! This week Justin and Terry (yes, Ryan skipped out on us, begin the tears and violins now) sit down and speak with JF Lewis, author of the urban fantasy novel “Staked”. JF was a fantastic interview, and we think you’re all going to enjoy this. I know we did. You can also find him at Write The Fantastic. Also, we will announce our contest winners on next week’s show. Getting all of them read amidst the holidays took longer than we thought it would, but we know you guys deserved to have us read and carefully consider each and every submition we received. But, the wait is nearly over, so make sure to come back next week and learn who won. Anyway, that’s it for now. Have a great week! The 2nd Annual Dead Robots’ Society Writing Contest! Hey, everyone, this is Justin Macumber. Well, it’s nearing the end of the year, and with the coming of that crisp autumn wind also comes the second annual writing contest. This year we decided to make this a contest about great opening chapters. If you want the reader to carry on past the opening of your book, you have to hook them, entice them, capture their attention and draw them in. That’s what this contest is all about. We don’t care about the genre, or the subject matter. All we want is something that will grab us and have us begging to read more. And keep in mind, it doesn’t have to be a cliffhanger. If you develop a strong enough premise and memorable characters, that can be enough to hook people. The contest will run from October 1st to October 31st and the entries can’t be longer than 5,000 words. Email your chapter to show@deadrobotssociety.com. That’s it. Just make sure it hooks us, that it’s in before October’s over, and it’s within 5,000 words. We can’t wait to see what you fine folks have in store for us. Now for the payoff. This year there won’t be just one winner, but many. The grand prize is an autographed copy of Scott Sigler’s out of print and damn near impossible to find novel “Ancestor.” And, not only is it autographed, but it will also be personalized to the winner. Other authors with names you’ll recognize have pledged autographed copies of their novels, including Tee Morris, Patrick Rothfuss, Mur Lafferty, A. Lee Martinez, Mathew Wayne Selznick, Pip Ballentine, and P.G. Holyfield! Be very excited. Stay tuned for more details as they become available. Read the winning short story! Short Story Contest Winner Announcement! Good evening! This post is to let everyone know that the winner of our short story contest is Wine! No, not the beverage, the person! If I had his given name, I’d share it with you, but all I know him by is his email and forum name of Wine. Of all the submissions we received, we thought that his achieved its aims the best, and we had a great time reading it. Great job, Wine! Congrats! We want to thank everyone who entered the contest, though. All of the short stories we received were read and discussed with zeal, and I can only hope that the next time we decide to do this again or something like it, we can have this level of excitement. You folks made this a big success for us. Again, congratulations, Wine, on your win! Come back soon, and we will have the short story posted here on the site. Just look to the top of the page for the link once we have it posted. 1. The story can be no longer than 5,000 words. 2. The story must involve a robot, though how that occurs is entirely up to you, so be creative! A fantasy story, even a horror story, can involve a robot, so don’t think we’re wanting sci-fi writers only to become involved in this. The robot can be dead, alive, central to the plot, or just one of the many characters you have in your story. We leave its involvement entirely up to you. 3. The story must be submitted by December 31st.